"Happy Halloween from the Funny Farm"
Some people are just too talented!! Definitely! It's nice to stand back and admire their work without trying to compete. Terrific Elliot. That is a real talent you have. Thanks Jerry, it's not as hard as it appears, it's kinda like picking crushed corn from the shicken chit, you just take away everything that doesn't look like corn or in this case everything that doesn't look like a Punkin Head. A little talent and years of practice. Thanks 7D, give it a try, it's good therapy to take out some pent up frustrations on an innocent pumpkin. That is just positively fabulous! Thanks for the compliments tlbuljac, Bob & republican, I enjoy getting to do something just for the fun of it for a change. 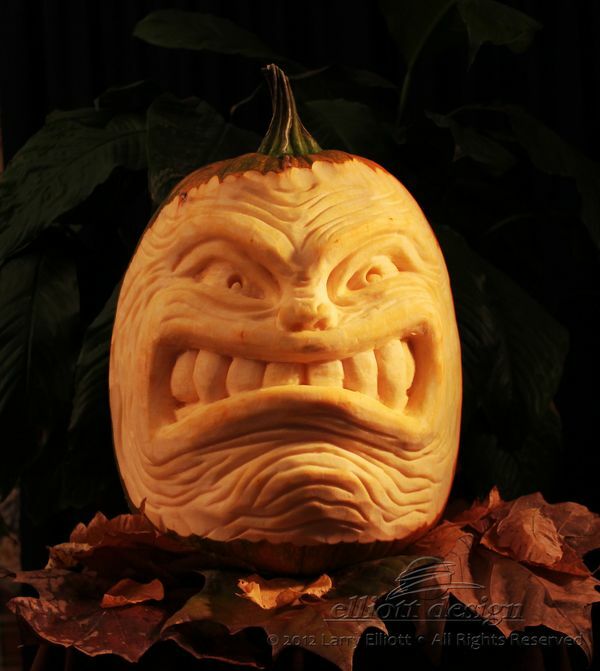 Posted the rest of this year's punkin heads on my website, (link is in the first post).